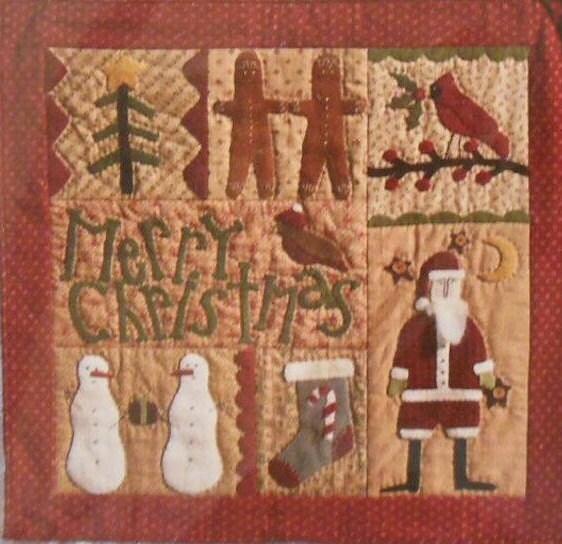 A wool wall quilt pattern called "Merry Christmas" by Briar Root Primitives. All of the joys of the holiday season are "present" in this fun little wall quilt. It's sure to wish all who see it a very Merry Christmas!